My little guy loves to do origami projects. He has very agile little fingers and does it quite well, although he lost interest after about four diamonds. Who can blame him! It was kind of a pain to get the two half diamonds together, but I persevered. I have been wanting to make one for a long time, so we got to it on one of our sick days at home last week. 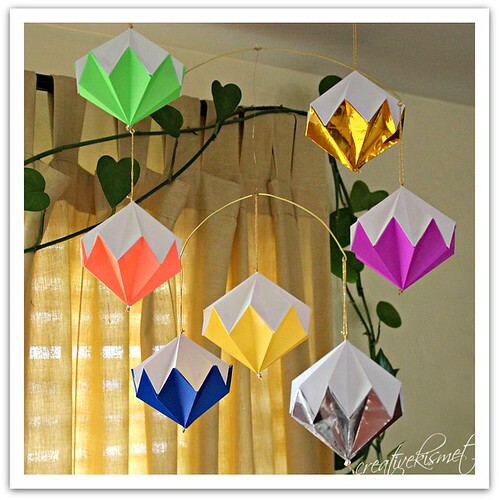 The blog post above is in German, so I searched and found a video on how to make origami diamonds. Perfect! Of course, mine needed to be a bit more colorful. Luckily, I found a bunch of origami paper in the kid’s room during our big clean up. 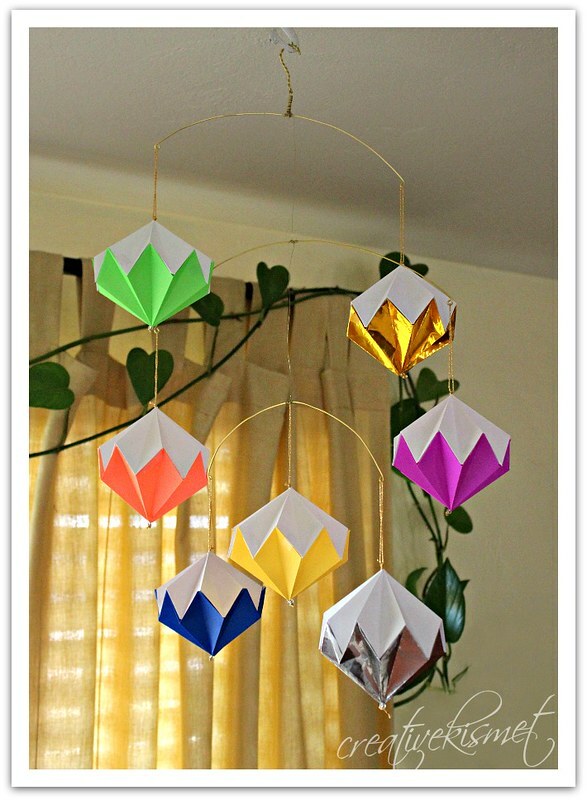 I just fashioned my own mobile with some wire and presto, a fun and colorful mobile for the living room. This entry was posted in Family Life, i make stuff. Bookmark the permalink. wow , this is awesome. love it!!! Its a tidy up treasure.